These come from 2 years ago yesterday – April 21, 2007. The twins were 2 years, 3 months old. What cute photos…. I too had an Elmo hoarder! Happy WBW! 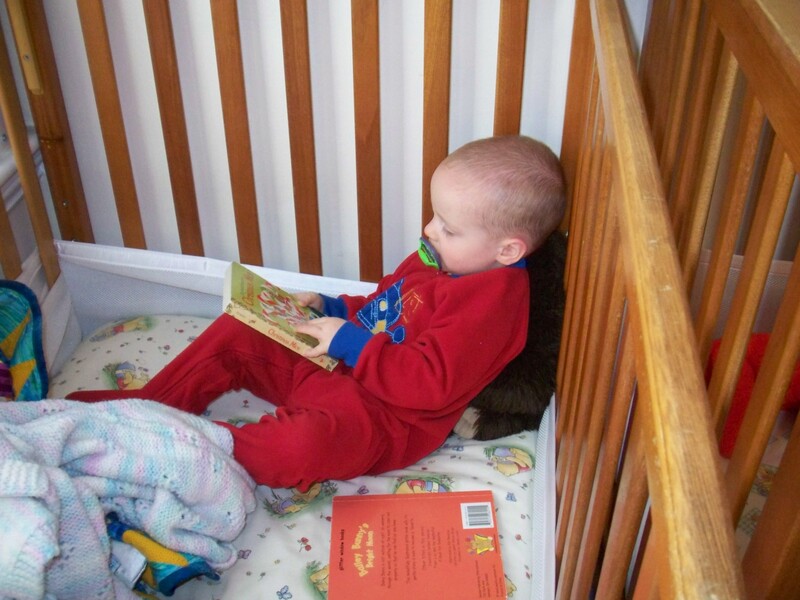 Oh they are so adorable…just LOVE that little reading posture…such a mature pose. Thank you so much for playing along with Way Back When-esday, Nancy! 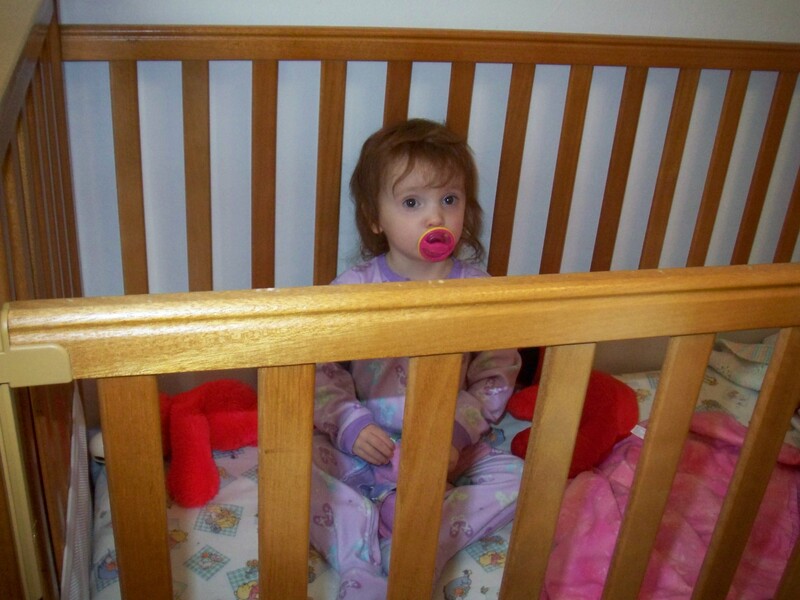 I am going to try and keep the twins in their cribs as long as you did! Cute pics.